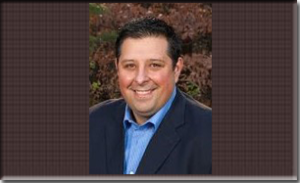 Nathan Bazzle has over 15 years of business consulting experience and holds a National Certification in Machinery and Equipment Appraisal. He also holds a Certification as a Senior Business Analyst in multiple states. Our Parent Organization has been in business for over 30 years doing Business Brokering, Business Valuation, and Business Appraisals. In 2009 Mr. Bazzle opened Certified Consulting Group LLC – a National Machinery & Equipment Appraisal, Business Valuation, and Business Brokerage Firm. Mr. Bazzle’s knowledge of Machinery and Business comes from a vast array of personal experience; starting as a teenager growing up in the Kansas oil fields in his Grandfathers small oil company and then later transitioning into an electrician and even installing aeronautical instruments in small business jets at Cessna. Mr. Bazzle understands machines and the people who run them. In his mid 20’s Mr. Bazzle took an interest in wireless communications and transitioned in the sales arena for VoiceStream / T-Mobile and later with Sprint eventually moving through General Business Accounts, Government Accounts, Major Accounts, Special Liaison to Engineering, and finally Management in a few short years. Finding a knack for marketing Mr. Bazzle left that industry to become the Sales and Marketing Director for a startup where he learned the deeper aspects of owning a business. In the past 6 years Mr. Bazzle has branched into ownership by opening 4 businesses of his own. Mr. Bazzle’s background allows him to understand and easily work with every level of personnel inside all company sizes from small business to large international companies. In 2005 Mr. Bazzle had the opportunity to spend five years personally training under John R Harris, ASA, MCBC, AM&AA. Mr. Harris is the Director of the NEBB Institute and has personally trained over 1000 Machinery and Equipment Appraisers in 45 states, Canada, Puerto Rico, Australia, Ireland, Saudi Arabia, and Singapore. Mr. Bazzle currently specializes in Machinery / Equipment Appraisals and Business Valuations with clients including State & Municipal Agencies, Banking Institutions, Law Firms, CPA / Accounting Firms, and companies of nearly every type and size. His understanding of current trends and how they impact a company allows him to not only advise business but also as a guest speaker to various organizations. He has been awarded the professional designation of CMEA by the National Equipment Business Brokers Institute and the Designation of CSBA by the Society of Business Analysts. These organizations are made up of Trusted Advisors including Attorney’s, CPA’s, Business Brokers, and Financial professionals. As a Certified Machinery and Equipment Appraiser, Mr. Bazzle is trained and compliant with the Uniform Standards of Professional Appraisal Practice (U.S.P.A.P.). Nathan Bazzle serves Nationwide with a focus on Indiana, Kentucky, Ohio, Illinois, Michigan. Cities include Indianapolis, Fort Wayne, South Bend, Kokomo, Carmel, Terra Haute, Evansville, Louisville, Cincinnati, Dayton, Richmond, Columbus, Bloomington, & Gran Rapids.